Heroes advocating for safer road conditions everywhere. Xzavier = Survivor= Heroes is having a Wheelchair Accessible Van fundraiser event on September 17th & 18th of 2016 at Carrabba’s Italian Grill in Brookfield, Wisconsin. Our hours for Saturday September 17 are from 11 a.m. until 11 p.m. Our hours for Sunday September 18 are from 11 a.m. until 9 p.m. Thank you Carrabba’s for supporting Xzavier = Survivor = Heroes. We are also holding a silent auction. You can donate an item, service, or gift certificate to our silent auction. This is a great way for you to promote your organization, services, and products to those attending our event. Contact us for an opportunity to meet Spokeswoman Valetta Bradford by appointment the weekend of September 17 & 18, 2016. Xzavier’s mom Valetta has turned herself into a spokeswoman against distracted driving because Valetta never wants what happened to Xzavier to ever happen to another child. She wants to make each day the best day she can make it for Xzavier. Acquiring a new wheelchair accessible van will return some normalcy to Xzavier’s routine. Getting back out and making appearances is the main goal for acquiring a wheelchair accessible van. Meeting Xzavier and Valetta is a profound moment in any driver’s life, a moment that might give a driver pause before continuing on in a determined course of distracted driving. Xzavier also needs transportation to doctor appointments, therapy, play dates, and family outings that will allow Xzavier to have a life outside of his home. The cast of ‘From One Second to the Next’ with Super Nurse and two Wizards from Waverly Place at the Hollywood Premiere. Valetta Bradford and her son Xzavier are available to speak at your event that offers a platform for distracted driving advocacy if traveling accommodations are provided and Xzavier’s night nurse will be required to accompany Xzavier on any over night appearances. To donate directly to Valetta Bradford contact her at 414-324-6623 or valettabradford@gmail.com. 100% of the proceeds for this fundraiser will go to acquiring the wheelchair accessible van. Your donations are tax deductible. Beef Jerkey Outlet – They Ship! Corderrelle Patterson #84 Wide Receiver for the Minnesota Vikings! TGIFridays is a proud sponsor of Xzavier = Survivor = Heroes!! Enter your email address to follow 'Xzavier = Survivor = Heroes' and receive notifications of new posts by email. Follow 'Xzavier = Survivor = Heroes !! Xzavier Davis-Bilbo was honored with ‘Xzavier Day’ proclamation by Mayor Tom Barrett on October 11, 2014. Xzavier and Valetta Bradford are advocates against Distracted Driving. Thank You Joey’s Seafood & Grill for your gift card donation. 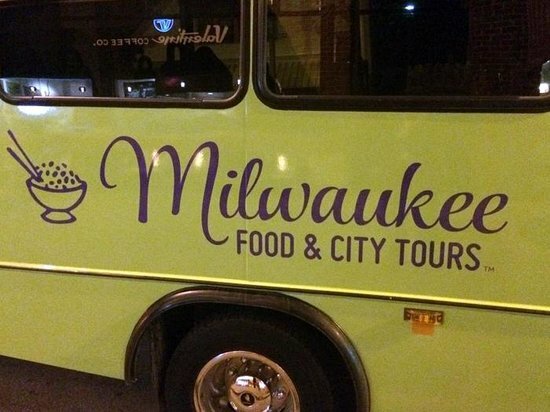 Thank you to MIlwaukee Food & City Tours for your Gift Card donation. Thank you Dave & Busters for your generous donation. Thank you to The Mineshaft Restaurant for your donation !! Enter your email address to follow 'Xzavier = Survivor = Heroes !!' and receive notifications of new posts by email. Our silent auction is being held at Carrabba's in Brookfield on September 18 & 19th of 2016. Thank you to the Milwaukee Admirals for sponsoring the ‘Don’t text 4 X’ campaigns.